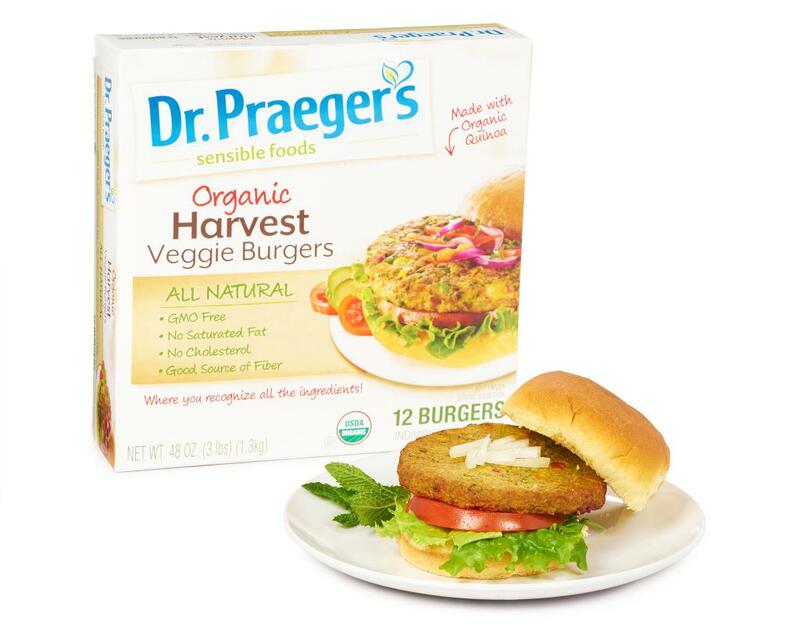 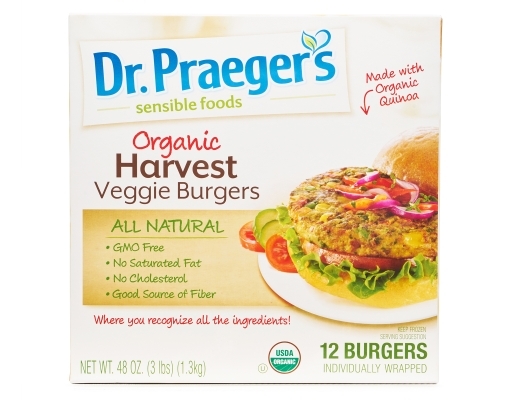 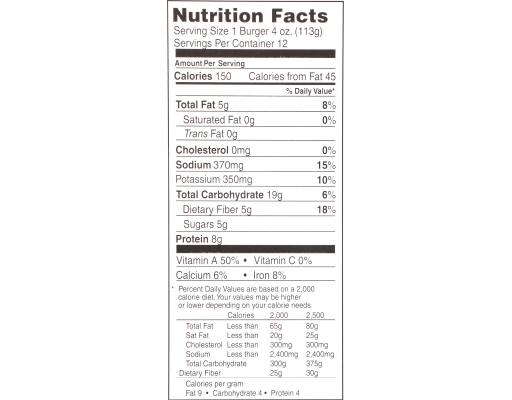 Dr. Praegers Veggie Burgers are a delicious and sensible food choice for any meal occasion. 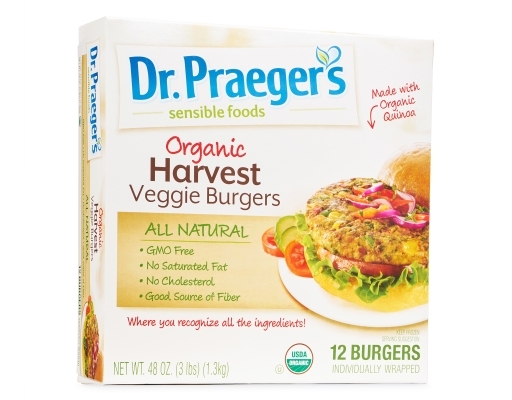 Cook them on the grill, in a skillet, or in the oven. There are no fillers, just a fresh and tasty veggie burger with ingredients you can understand. 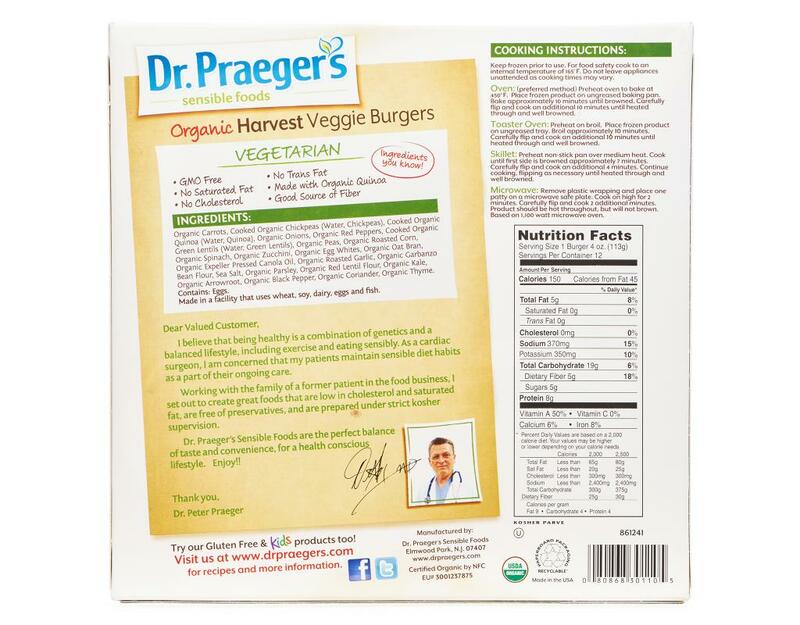 Organic Carrots, Cooked Organic Chickpeas (Water, Chickpeas), Cooked Organic Quinoa (Water, Quinoa), Organic Onions, Organic Red Peppers, Cooked Organic Green Lentils (Water, Green Lentils), Organic Peas, Organic Roasted Corn, Organic Spinach, Organic Zucchini, Organic Egg Whites, Organic Oat Bran, Organic Expeller Pressed Canola Oil, Organic Roasted Garlic, Organic Garbanzo Bean Flour, Sea Salt, Organic Parsley, Organic Red Lentil Flour, Organic Kale, Organic Arrowroot, Organic Black Pepper, Organic Corlander, Organic Thyme. 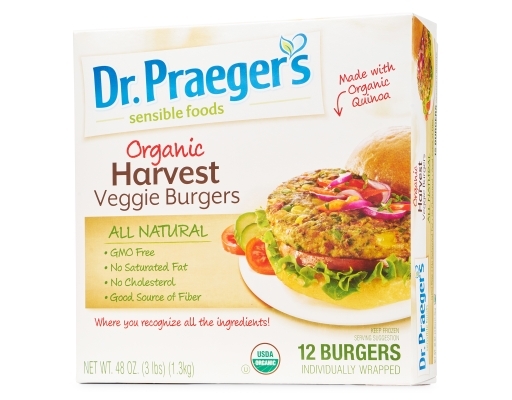 Made in a facility that uses wheat, soy, dairy, eggs and fish.